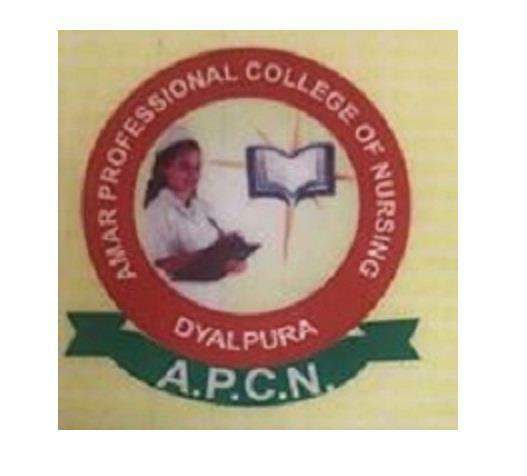 Amar Professional College of Nursing | 08071284846 About The College Amar Professional College Of Nursing is run by the management of Amar Professional Education Society (Regd) situated at Dyalpura 2km away from Zirakpur-Banur National Highway near ZirakpurTehDerabassiDistt Mohali. This college is spread over an area of 4 acre having modern infrastructure&well-furnished College and Hostel building. This premier institute had taken its 1st GNM batch in 2003, & presently offering ANM, GNM, Post Basic B.Sc(N) B.SC( N) Basic Courses. It is the quality of people in terms of right attitude, aptitude & skills that gives any organization a competition edge, recognizing the need of society, training of nursing student is a crucial & urgent priority. 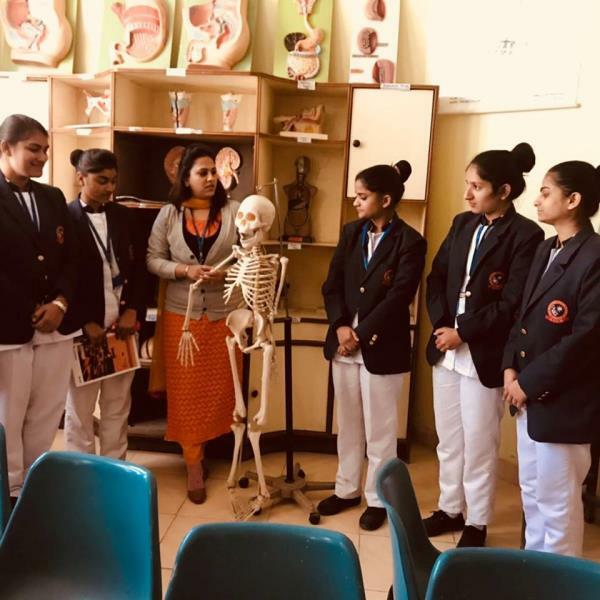 Amar Professional College of Nursing takes this responsibility seriously & recruit qualified teachers to make them outstanding nurses & provide best clinical facility in Established Private&Government hospitals . 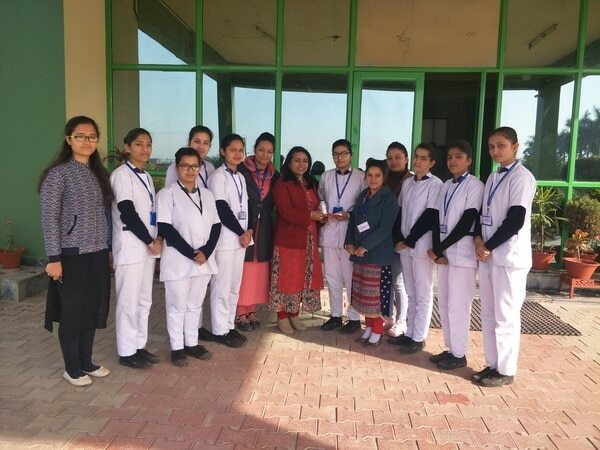 Amar Professional College Of Nursing has a very ambitious plan to run the institute on latest modern lines, so that the students passing outof this institute would be able to exhibit their best skills & set the new trends in Nursing Profession. Philosophy Of The Institute This Institute believes that the Degree/Diploma Course in nursing will prepare nurses for first level position in Nursing to function in both, Hospital as well as in Community. Practice of Nursing requires a good understanding of basic scientific principles and it is influenced by advances in Sciences and Technology. The faculty of this Institute accepts the responsibility of helping the students to develop a sense of pride in their profession and desire to continue learning throughout their life. The faculty of this Institute accepts the responsibility of helping the students to adjust to a new situation and grow as a responsible citizen and competent practitioner. Aim To strengthen the capacity of trained nurses (female candidates) in rural and backward areas of Punjab.To help students in developing positive attitude and aptitude towards devoted services to mankind. 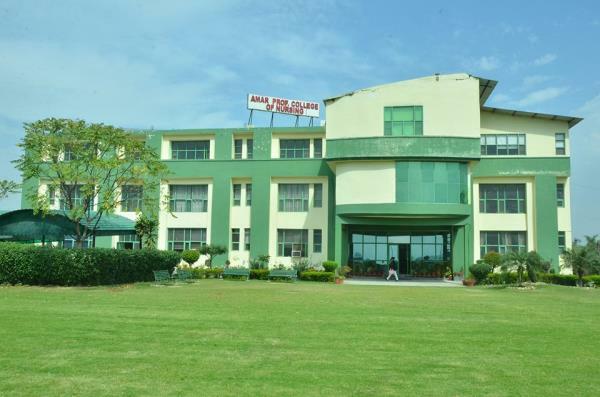 About The College Amar Professional College Of Nursing is run by the management of Amar Professional Education Society (Regd) situated at Dyalpura 2km away from Zirakpur-Banur National Highway near ZirakpurTehDerabassiDistt Mohali. This college is spread over an area of 4 acre having modern infrastructure&well-furnished College and Hostel building. This premier institute had taken its 1st GNM batch in 2003, & presently offering ANM, GNM, Post Basic B.Sc(N) B.SC( N) Basic Courses. It is the quality of people in terms of right attitude, aptitude & skills that gives any organization a competition edge, recognizing the need of society, training of nursing student is a crucial & urgent priority. Amar Professional College of Nursing takes this responsibility seriously & recruit qualified teachers to make them outstanding nurses & provide best clinical facility in Established Private&Government hospitals . Amar Professional College Of Nursing has a very ambitious plan to run the institute on latest modern lines, so that the students passing outof this institute would be able to exhibit their best skills & set the new trends in Nursing Profession. Philosophy Of The Institute This Institute believes that the Degree/Diploma Course in nursing will prepare nurses for first level position in Nursing to function in both, Hospital as well as in Community. Practice of Nursing requires a good understanding of basic scientific principles and it is influenced by advances in Sciences and Technology. The faculty of this Institute accepts the responsibility of helping the students to develop a sense of pride in their profession and desire to continue learning throughout their life. The faculty of this Institute accepts the responsibility of helping the students to adjust to a new situation and grow as a responsible citizen and competent practitioner. Aim To strengthen the capacity of trained nurses (female candidates) in rural and backward areas of Punjab.To help students in developing positive attitude and aptitude towards devoted services to mankind. 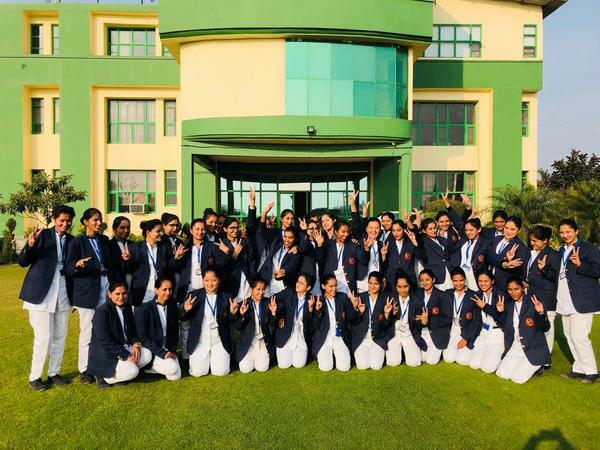 100% result of B.Sc nursing (Post Basic) 1st year students of Amar professional college of nursing Dyalpura , Mohali near Chandigarh.Best college of nursing in Punjab near Chandigarh. 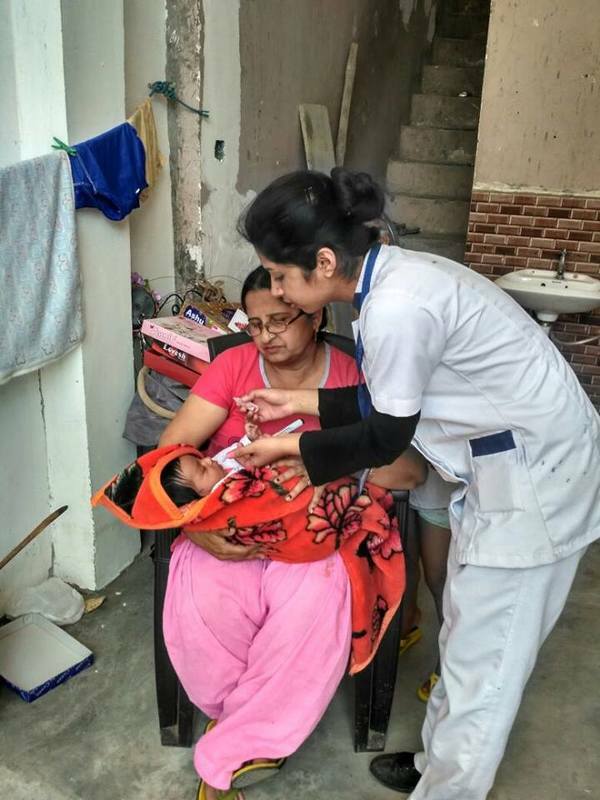 Student of Amar professional college of nursing giving polio drops.Best college of nursing in Punjab near Chandigarh, Zirakpur.